Senate Majority Leader Mitch McConnell, R-Ky., speaks to reporters at the Capitol Tuesday. 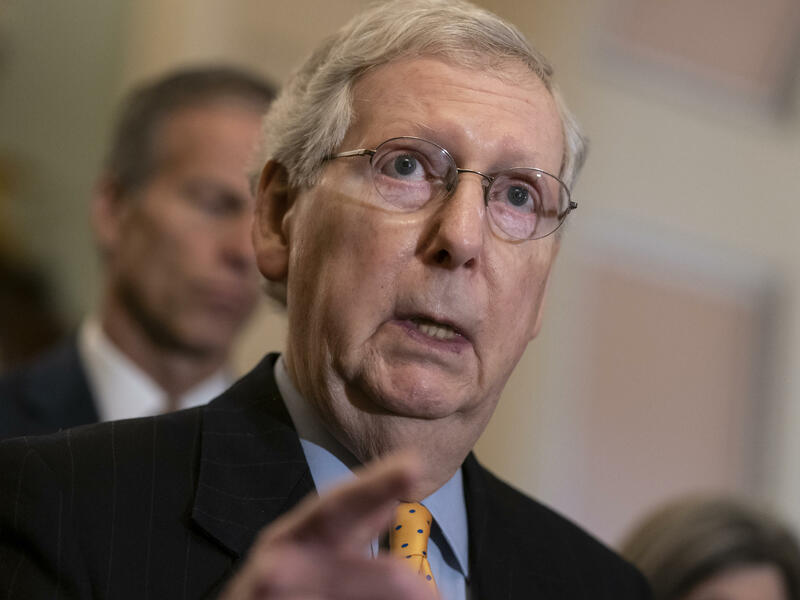 "You add up things like packing the Supreme Court, getting rid of the electoral college, the Green New Deal, and Medicare for none and you have a prescription of turning America into something it never has been and never should be," McConnell said. "So we intend to be on the offense in running our races." McConnell said Republicans running for Senate can also "paint your own picture of what your service has meant to your constituents" — a plan that involves highlighting the Senate's work on criminal justice reform and combating the opioid crisis. "My experience in politics has been that very few voters come out and vote and say thank you," McConnell said. "They generally are looking for what the deficiencies are on one side or another and I think what we're seeing in the Democratic presidential primaries, gives us a sense of what we should be against in 2020." "We did very poorly in the suburbs, which cost us the House," he said. "To give you a sense of that the gender issue, we lost women by four points in 2014 — about typical you know in a successful year for us. We lost women by 19 in '18 and we lost college graduates for the first time in my memory. That is not a path to political success." That plan of attack isn't preventing McConnell from pursuing some bipartisan agreements in the many months ahead next year's elections. McConnell says he has a good working relationship with House Speaker Nancy Pelosi, D-Calif., and he has high hopes that the two can work together to reach a two-year budget agreement in the near future. "We're each enabling at the staff level people to begin to discuss what we're going to do," McConnell said. "And we have to do it together." "The only thing possible is a bipartisan agreement that probably in the end the most liberal members of her party don't vote for and most conservative members of my party don't vote for," McConnell said. "But it gives us some semblance of a way to have a normal appropriations process." The words of encouragement about a deal weren't without a dig at Pelosi's political predicament in managing her new, ideologically diverse majority. McConnell compared liberal House Democrats — many of whom tried to force votes on liberal issues like Medicare for All and the Green New Deal and threatened to vote against a budget bill to push for greater domestic spending — to the divisive House Freedom Caucus that fractured the GOP in previous years. "I was almost tempted to call up my good friend the speaker and say 'congratulations you've got a Freedom Caucus on your hands,' " McConnell joked. "And she clearly does." 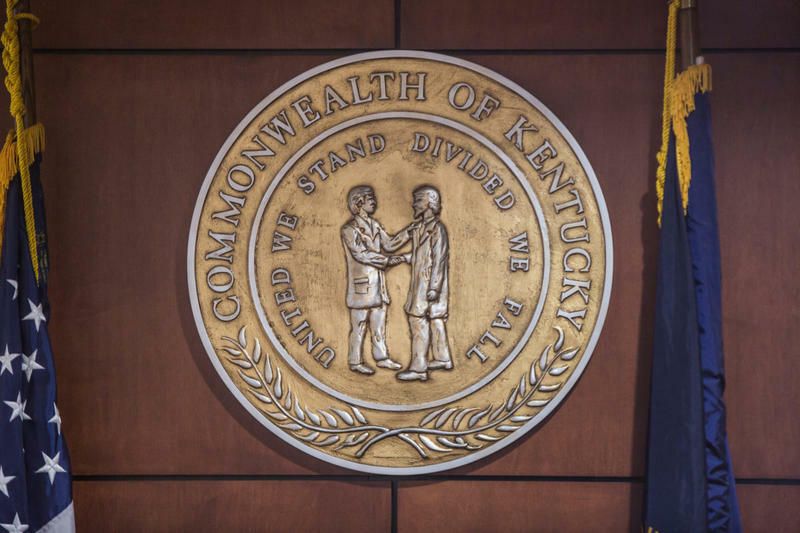 The Kentucky Education Association is a statewide member organization and lobbying group for public school educators. Last week, KEA members elected the association’s former vice president Eddie Campbell to be their new president. Campbell takes over for Stephanie Winkler, whose term ended.